Check out the latest LaRitzy Coupon on My Subscription Addiction! 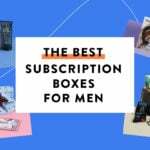 LaRitzy Subscriptions on Sale at Gilt City! $14 a Box! LaRitzy Subscription Box Deal – Buy 2 Months Get 1 Free! FREE Nail Care Gift Set ($75 Value) with LaRitzy Subscription! LaRitzy Valentine’s Day Sale – Free Gift Subscription! LaRitzy Black Friday Deal – 40% Off First Month! LaRitzy Halloween Sale Coupon – 3 Months for the Price of 2!